A Monsanto scientist this week tried to rebut a dying groundskeeper’s allegation that he failed to tell him whether the company’s Roundup weed killer had caused widespread skin rashes later diagnosed as terminal lymphoma, possibly resulting in the disease’s progression while he continued to use it. In video testimony played for a San Francisco County Superior Court jury, Monsanto executive Daniel Goldstein testified he didn’t “recall” if he returned plaintiff Dewayne Johnson’s 2014 calls asking about the side effects of exposure to Roundup, though he said there is documentation he intended to call him. “It would certainly be helpful to have spoken with him, and I don’t recall whether I did,” Goldstein said. Johnson sued Monsanto in 2016 after he was diagnosed with a cutaneous non-Hodgkin lymphoma that created cancerous lesions over most of his body. He says he developed the disease after he was twice drenched in Roundup while spraying it in schoolyards for his job as a groundskeeper for the school district in Benicia, 40 miles east of San Francisco. Although U.S. and European regulators have concluded that Roundup’s active ingredient glyphosate is safe, the World Health Organization’s International Agency for Research on Cancer (IARC) classified it in 2015 as a probable human carcinogen, prompting a wave of lawsuits in the U.S.
Glyphosate is the most widely used agrichemical in history. 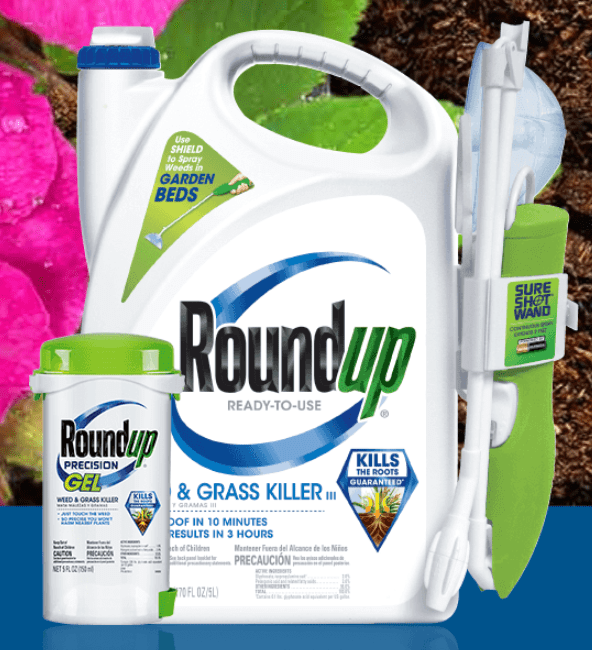 Monsanto introduced it in 1974, and its use exploded in 1996 after Monsanto began selling “Roundup-ready” seeds engineered to resist glyphosate. More than 2.6 billion pounds of the chemical was spread on U.S. farmlands and yards between 1992 and 2012, according to the U.S. Geological Survey. In his cross-examination Tuesday, Goldstein said had he spoken with Johnson, he would not have told him to stop using Roundup, because “there is no basis in science” for such a recommendation. Listing a number of scientific studies finding an association between glyphosate and non-Hodgkin lymphoma, Johnson’s lawyer Michael Miller asked Goldstein if he would have at least told callers like Johnson about the association, or about IARC’s finding. “I can’t answer that,” Goldstein said, before clarifying he would tell a caller about the association only if they presented with cancer symptoms. Callers concerned about a skin rash would not be apprised of the association, Goldstein said, noting Johnson had complained of only a skin rash the first time he called. “There is nothing I could have provided him in the way of information that would modify his condition in any way,” he said of Johnson. Miller countered that Johnson wasn’t terminal when he first called Monsanto, and continued to use Roundup after failing to hear back from the company. “He later became terminal after continuing to spray glyphosate,” Miller concluded. Also Tuesday, longtime Monsanto toxicologist William Heydens denied ghost writing a series of scientific journal articles concluding glyphosate isn’t carcinogenic to discredit IARC, despite internal company correspondence in which he suggested Monsanto do so. The email continued: “An option would be to add Greim and Kier or Kirkland to have their names on the publication, but we would be keeping the cost down by us doing the writing and they would just edit & sign their names so to speak. Recall that is how we handled Williams Kroes & Munro, 2000,” which concluded that doesn’t pose a health risk to humans. Heydens acknowledged that he had suggested “ghost writing” the papers, but said he meant the term as “shorthand” for “getting things done quicker” by making “some contributions,” including nearly five pages of text for an introduction to the article series. The papers’ authors, he said, have also denied ghost writing by Monsanto. Heydens also disputed Miller’s contention that a 2003 peer-reviewed study had found a doubled risk of developing non-Hodgkin lymphoma from exposure to glyphosate. “Just the fact that it appears in a peer-reviewed journal doesn’t mean it’s correct,” Heydens said. A Monsanto spokesman declined to comment.